Back in the 1980’s there was a TV-Series on German TV that emptied the streets on a regular basis. Everybody was sitting in front of its screen and waited for the latest news on family Brinkmann and the Schwarzwaldklinik (Black Forest Clinic). Apparently some viewers went so far as to believe they existed for real and went to ask Professor Brinkmann for medical help. For those of you, who haven’t seen it, this series was a mixture of „Dallas“ and „Grey’s anatomy“. 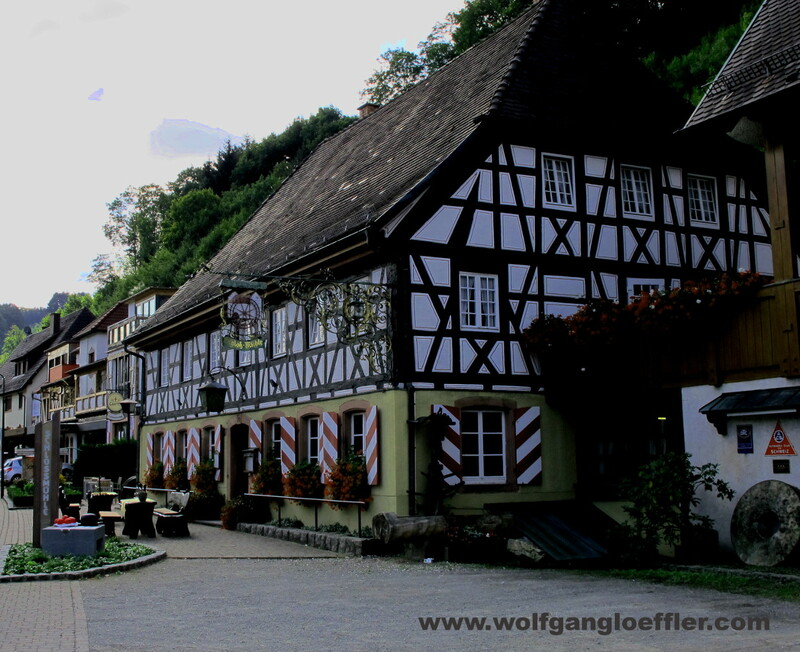 This helped push a formerly unknown little village in the Black Forest close to Freiburg onto the touristic map. Back in those days they came in hordes to see the famous sites. Nowadays the village is long back to a more quiet and less eventful time. As I have already told you earlier my family is spread out between Germany and France. 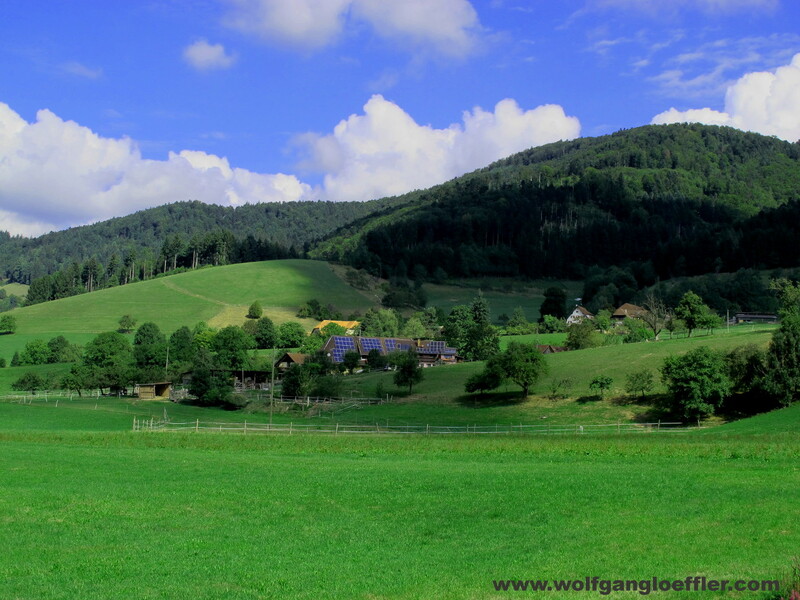 So whenever we have a big family reunion we choose a place either in the Black Forest or in the Alsace. 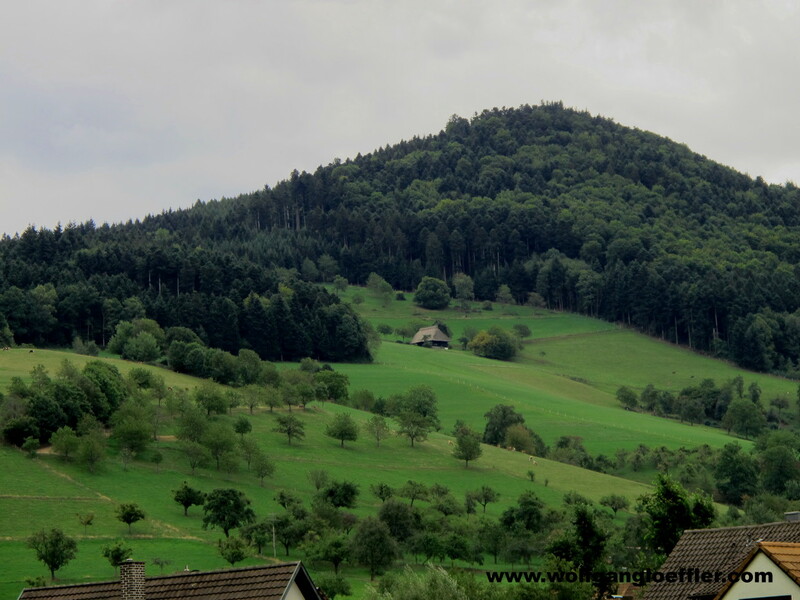 The Black Forest is also the home of my mothers family and it is in between the most distant parts of the family. So during the first weekend of last September we met to have another celebration and as always it was really great to see them all again. 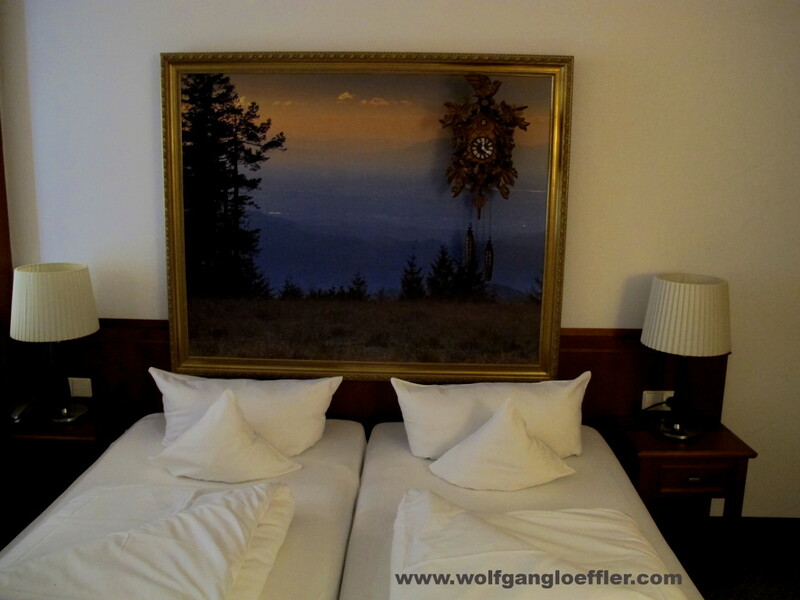 This time we ended up in the Hotel zum Kreuz in Glottertal and spent two beautiful days there. The hotel is family owned and I have to admit that I haven’t felt so welcomed in long time as here. The staff was extremely friendly and very professional. And most of all the food was really great. The only thing that I needed to get used to was the rooms inventory. Yes, we had booked the entry level category a Standard room which was spotless, but the decor and furniture seemed to be from the time of the famous TV-Show. 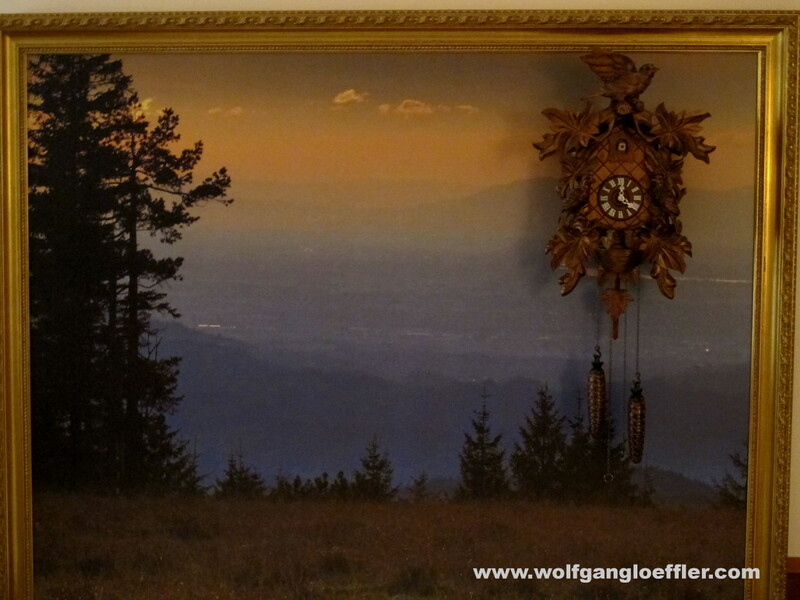 The painting above our bed with the integrated cuckoo-clock is not really my taste. Thank god it didn’t tick and we weren’t awoken by the little bird singing at the full hour. 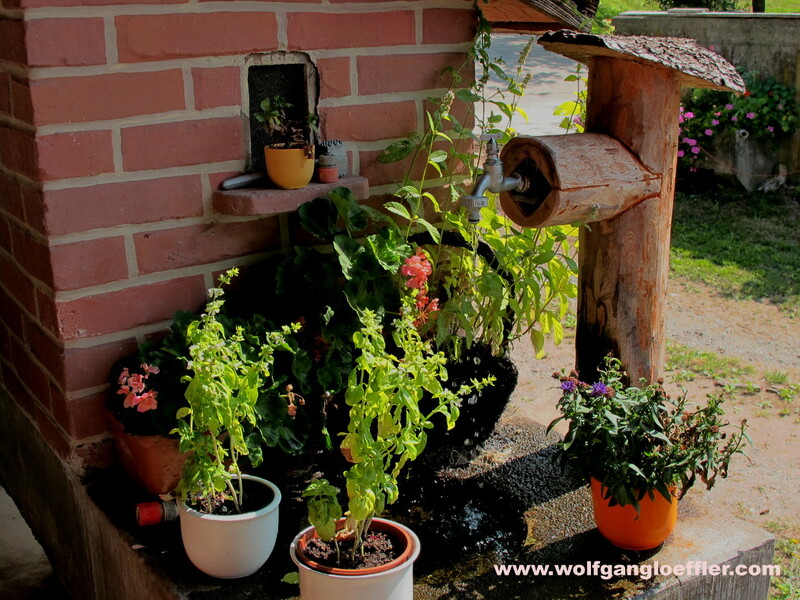 To get there we decided to spend a day on the road and take a little detour via the vineyards of the Pfalz and the Alsace. So we left Munich at 7 a.m. to avoid the rush hour. 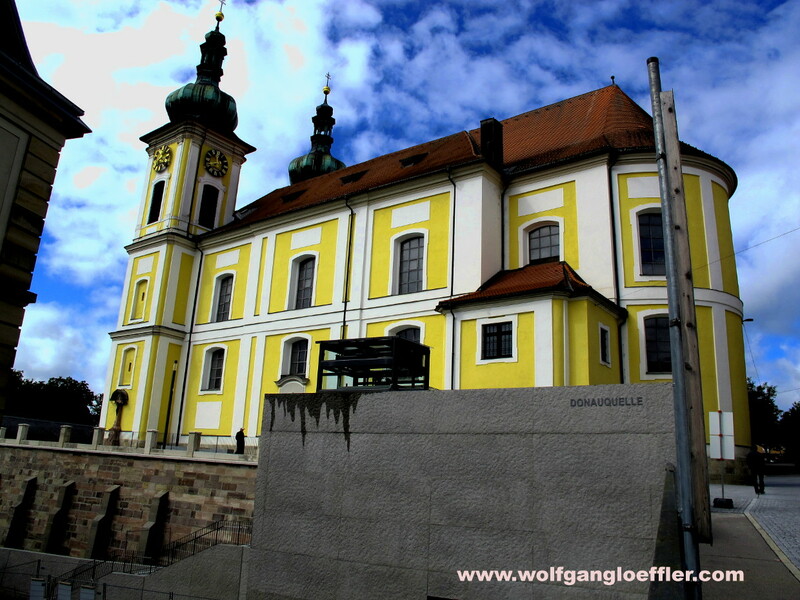 Our first stop was Deidesheim where we wanted to buy some wine at the Winzergenossenschaft . I have to admit a wine tasting at 11 a.m. is not really my thing, but it was worth it. 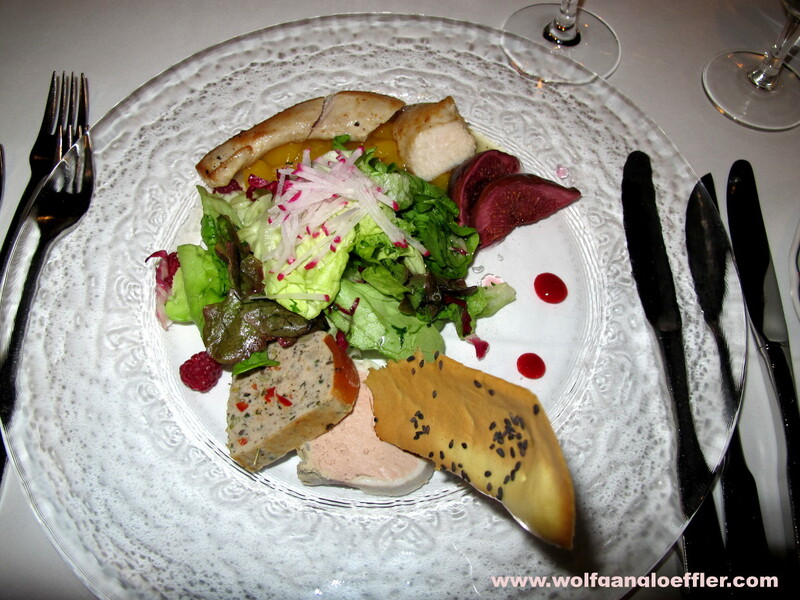 Their specialty are very tasty Rieslings, but they do have also very good reds and sparkling wines on offer. 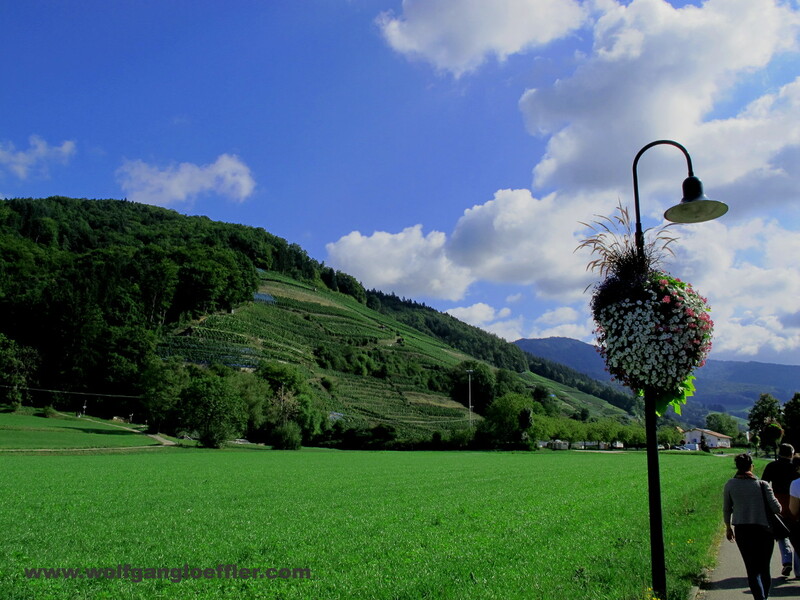 There is a scenic route called the „Weinstraße“ which we planned to take in order to continue south into the Alsace. Unfortunately neither the GPS in our rental car nor the signs on the streets found the correct route. But the drive through the vineyards of the southern Pfalz was non the less a very nice one. 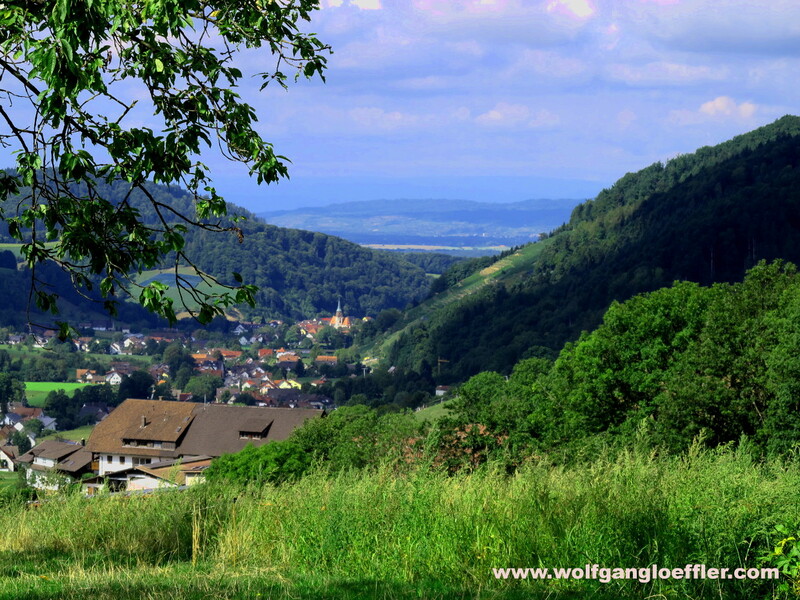 This region is called the German Tuscany with rolling hills and old castle ruins on top of them. 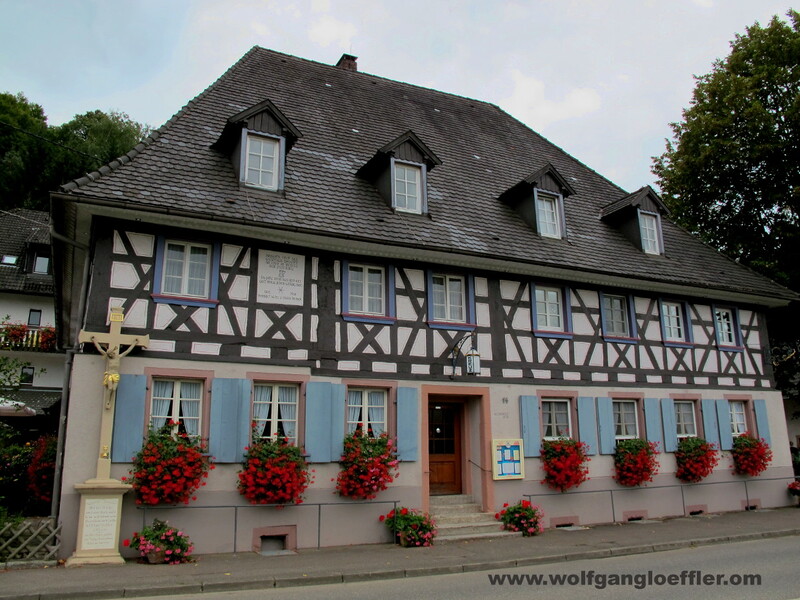 The next stop was Hagenau in France. There are a few products we learned to cherish during our time in Paris and so we wanted to go to a supermarket and fill up our provisions. So we strolled through the old town while looking for a food store. 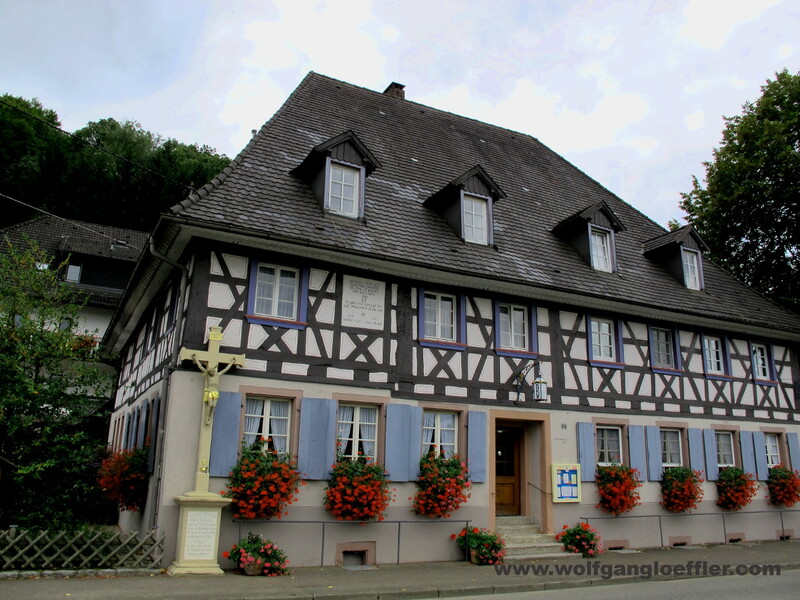 But as in most German small towns they moved to the outskirts. 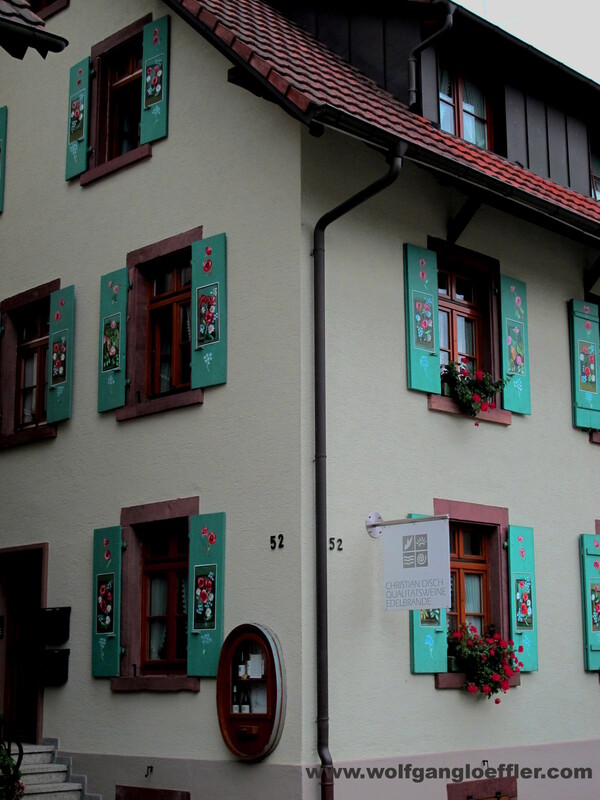 But the walk through the old center with all those timber framed houses plus the ones made of red sandstone was worth the while. You probably wouldn’t want to stay here longer, but if you are passing by you should take the time and walk through it. Since the highway on the German side between Karlsruhe and Freiburg is often jammed, here’s an alternative route. Other than in the rest of France the highways in the Alsace are toll-free and there is a lot less traffic than on the German side of the Rhine. Finally we did reach our hotel in Glottertal where the first family members gathered on the terrace. The weekend before was the last one with real summer heat and temperatures in the 80’s, but during the week in between the temperatures were cooling down quite a bit. At this point we did enjoy it, after the long weeks of summer heat we had this year. Fortunately we didn’t get the heavy rain that has been announced. Friday night the hole family sat down for dinner at the hotels restaurant and of course we had to do quite some talking. 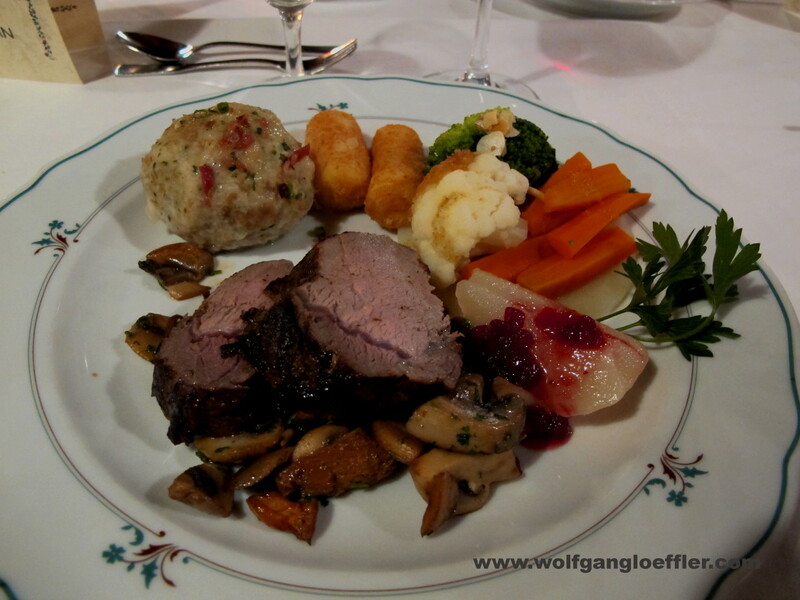 The food is typical German and perfectly prepared. So we really did enjoy it a lot. The prices are a bit on the higher side for this region, but if you want to have such a quality,you should be ready to spend a few more Euros. Saturday morning we all went on a short hike. 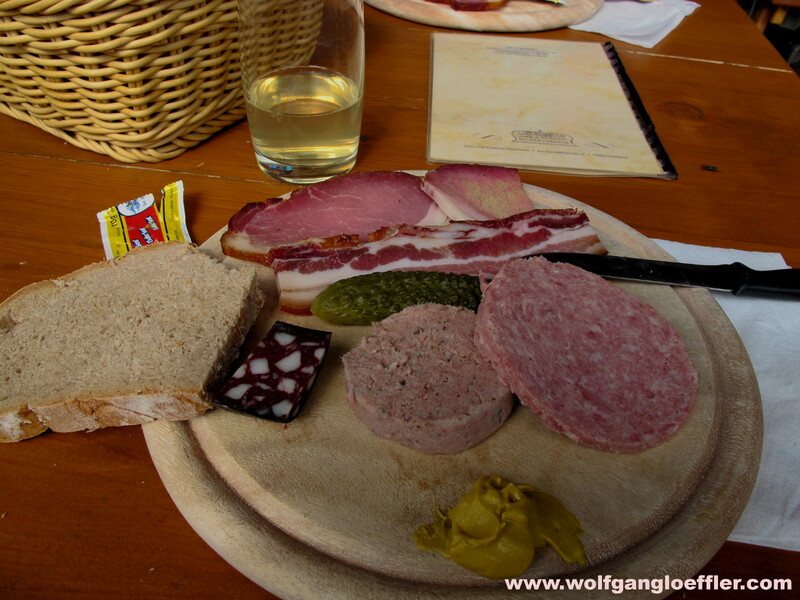 We went to a farm on a hill just outside the village and had a typical Black Forest lunch with home made sausage and apple wine. Delicious. We were sitting outside and had a great view over the valley that went all the way to the Alsace. Since we didn’t know the area we took the wrong way to get there and had to walk along a road with quite some cars driving by and no pedestrian way on the side. That wasn’t too good. On our way back a man living on this street and working in his garden showed us the hiking trail that leads back into the village through the forest. That was a much nicer walk. In the picture above next to the one with the wooden heart you see the farm where we had lunch. A part of our path back to the hotel led us along the vineyards. The first leaves were turning red. 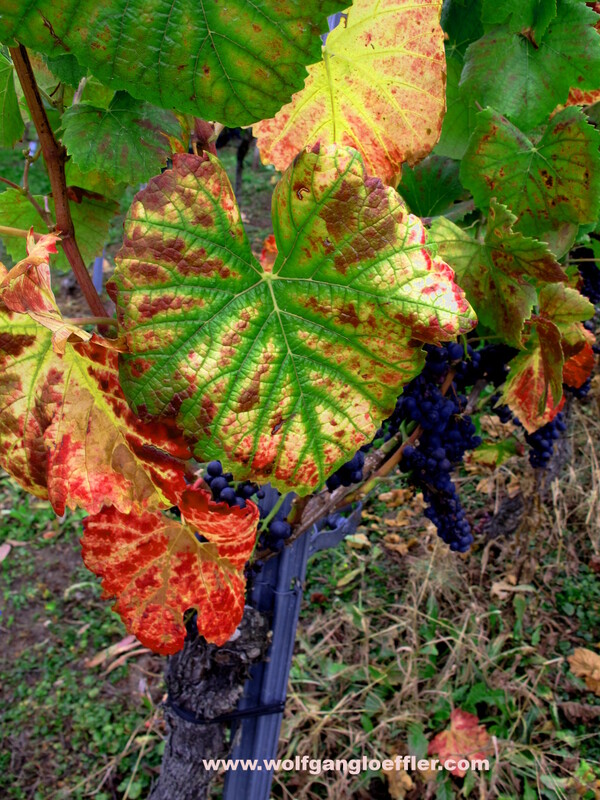 Yes, autumn has definitely arrived. 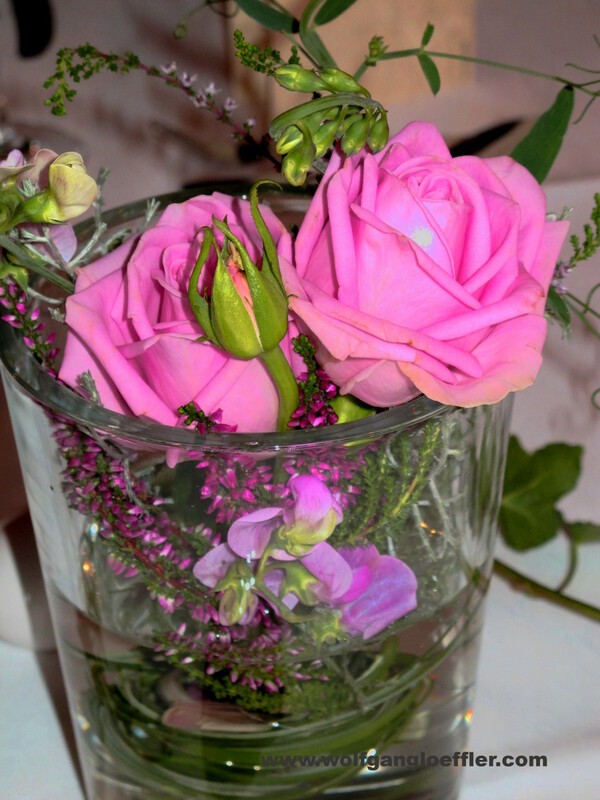 That night we were brought to a festively decorated room in the restaurant and the chef and his crew showed us what delicious foods they are able to conjure. Along with the starter mother nature provided us with a special show. 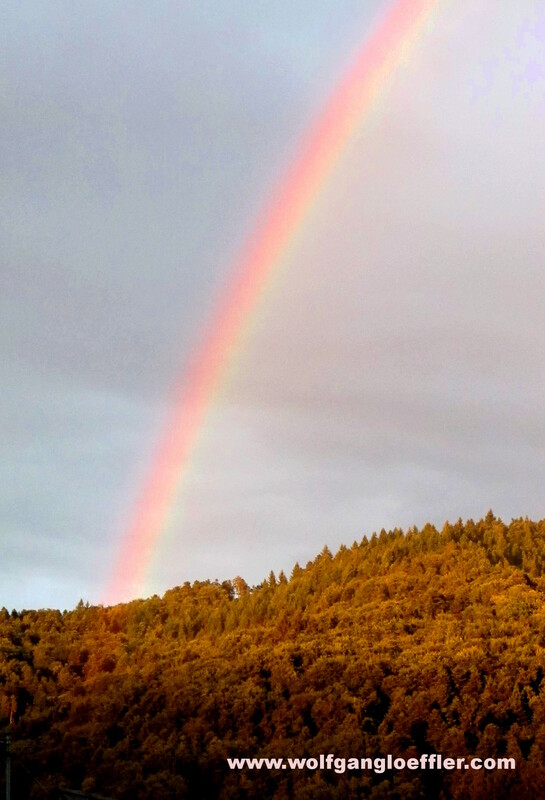 Above a hill further up the valley shone a beautiful rainbow. 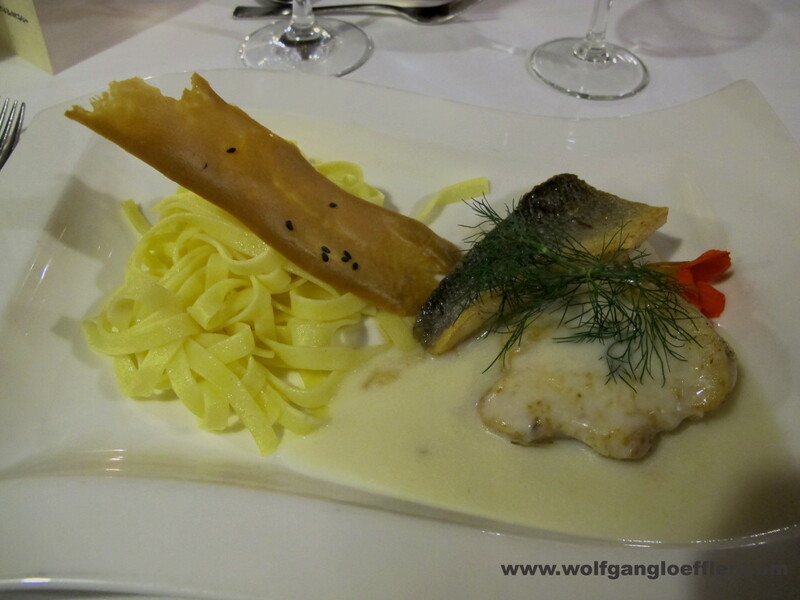 The food was a dream and so we spent a great evening and everybody was thrilled. Unfortunately time was flying by too fast once more. After breakfast on Sunday we had to part again and we all went on our way direction home. In the southern part of Germany the kids were still on vacation and so we decided not to take the highway, but drive along scenic state roads. 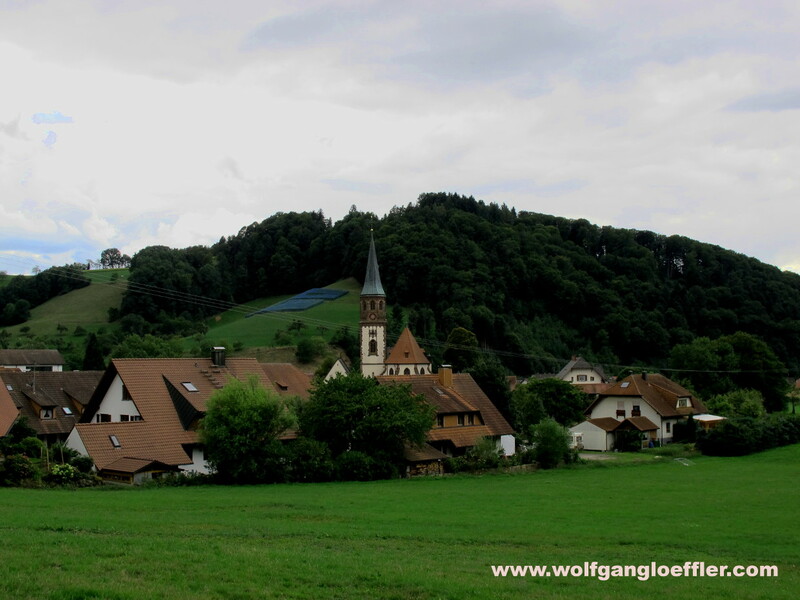 First we drove to the heights of the southern Black Forest. We passed a beautiful landscape and had a very relaxing tour. 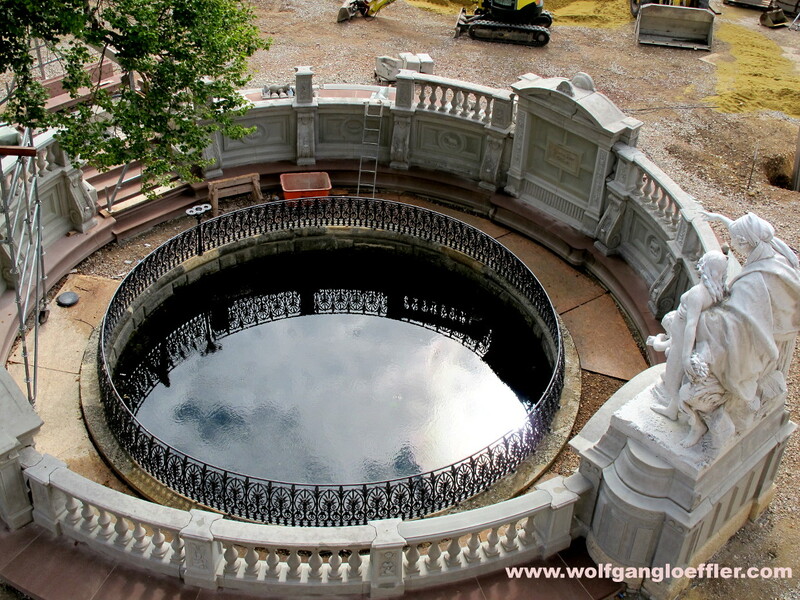 A stop on our way was the fountain of the Danube river in Donaueschingen. We wanted to see this place already for quite some while. Unfortunately it was being renovated and we couldn’t get real close. It still is fascinating to see that out of this basin should grow one of Europe’s biggest stream. Hard to imagine when you are looking at it. 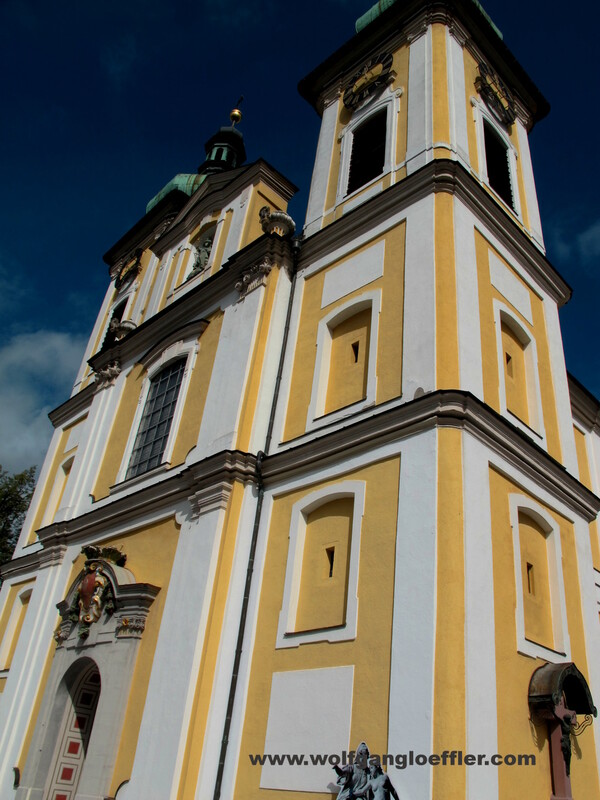 We made one last stop in a town with a big historical significance for Germany . 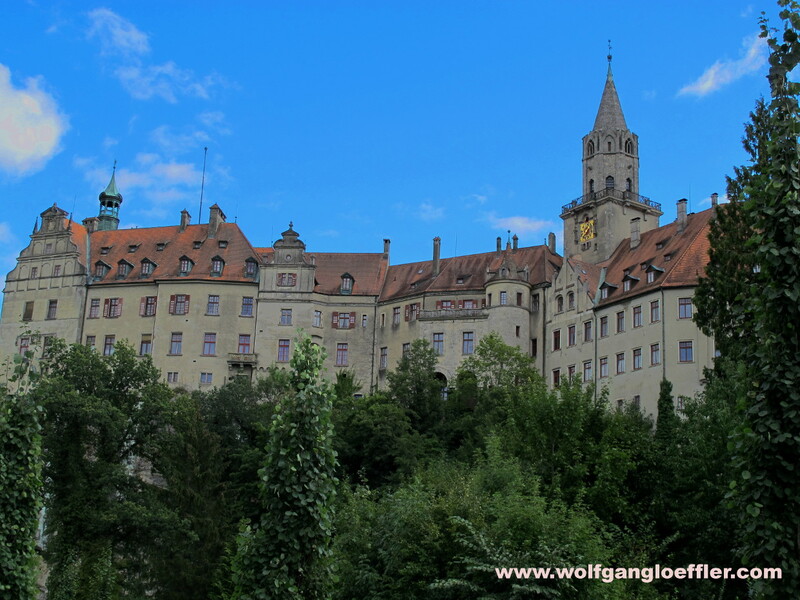 In Sigmaringen we watched the castle at least from the outside. we will be back to have a guided tour. We continued direction Alps and finally hit the highway an hour south of Munich. we were lucky and came back home without a single traffic jam. Too bad that this weekend passed so quick. Although I was born and raised in Germany, I am always astonished how beautiful this country is. 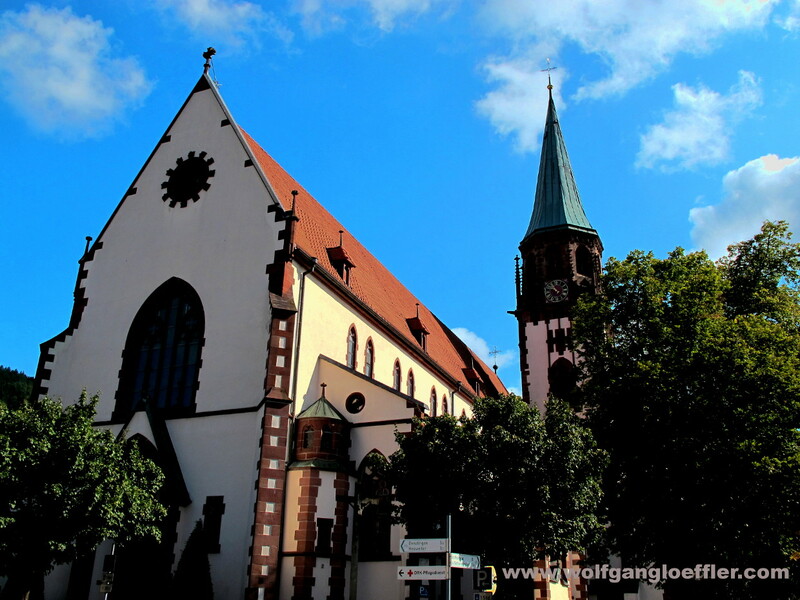 Whatr are your favorite places in Germany?